Vettel definitely has a lot of pressure to live up to as he would be leading the Ferrari team in the upcoming Australian Grand Prix. There are more reasons that his performance would be in the limelight, one being that Ferrari has launched a new model for 2017 and all eyes would be on the Ferrari car and how well it performs in the maiden race. It is also a bid by Ferrari to get back in the competitive game after being in the back for a decade now. It might be a coincidence or not that Ferrari is celebrating their seventieth anniversary celebrations this year. During the practice three session for the Abu Dhabi Grand Prix this Sunday, SebastianVettel produced a shock result, topping the session from Max Verstappen and KimiRaikkonen. Lewis Hamilton and Mercedes team mate, NicoRosberg, who are both favorites for the title had been topping the session after their qualifying simulations on the ultrasofts. However, after the others bolted off on another set of new tyres marked in purple colors, a lot of time became available causing Vettel to advance and top the session. 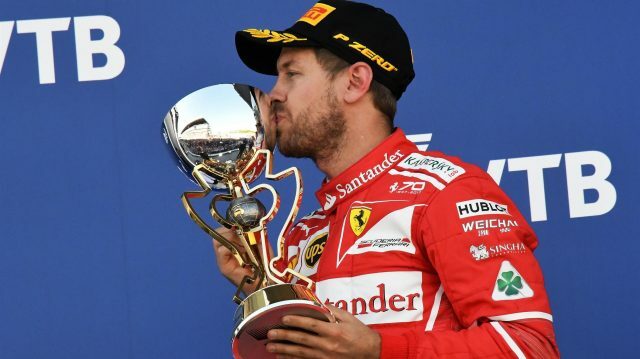 “I think that is an impressive time from Vettel, we know he is good around this track, it is a typical kind of Vettel track,”Anthony Davidson who was on commentary duty had said. The 2014 season was a very bad one for the German professional formula one racing car driver, the 27 year old Sebastian Vettel. Christian Horner, who is the principal of the Red Bull team, has said that Vettel even considered leaving formula one racing at one point during that season. The regulations that came in effect during the 2014 season made racing difficult for the German driver. The aforementioned fact is very well known. Daniel Ricciardo was included in the red bull team in that season and often Vettel and Ricciardo’s prowess were compared.